When it comes to sophisticated summer destinations, Mykonos tops the list. Celebrities like Leonardo DiCaprio, Gerard Butler, and Katy Perry flock to the Greek island every summer to relax, unwind, and celebrate — and to provide fodder for the international tabloids. Now there’s one more reason for you to join the glitterati: the newly opened AVERY Perfume Gallery makes Nammos Beach the go-to spot for fragrance lovers. 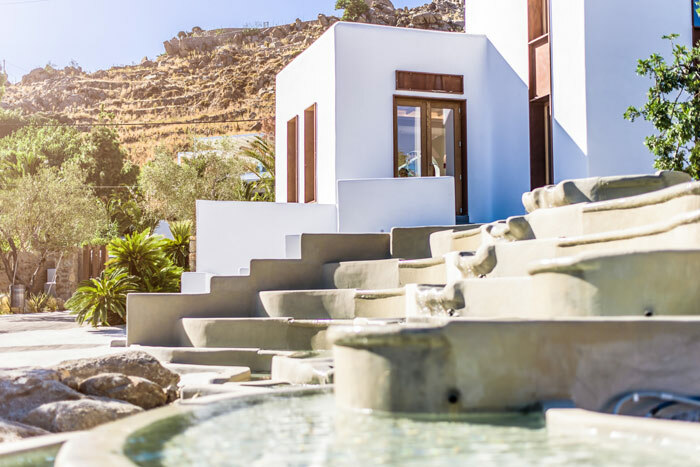 Inspired by the simplicity and the clean cuts of traditional Myconian architecture. Photo: AVERY Perfume Gallery. Designed by star architect Rocco Valantines. 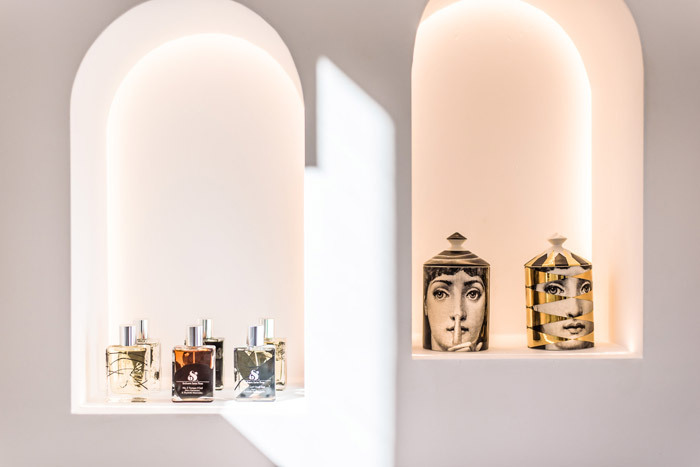 Located in the upscale Nammos Mall, the perfumery was designed by Rocco Valantines, partner at renowned Paris-based architecture firm MenoMenoPiu. 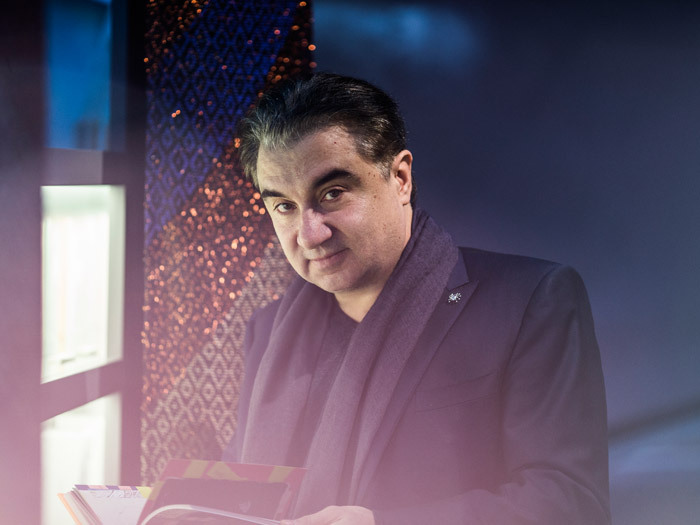 Valantines and his colleagues are also the masterminds behind spectacular projects such as the New Bauhaus Museum in Dessau and the Helsinki Central Library. “It has been a great pleasure to work with Rocco Valantines in Paris. This unique and sophisticated design was inspired by the simplicity and the clean cuts of traditional Myconian architecture,” explains Celso Fadelli, president and fragrance curator of Intertrade Group, the company behind the AVERY Perfume Gallery. 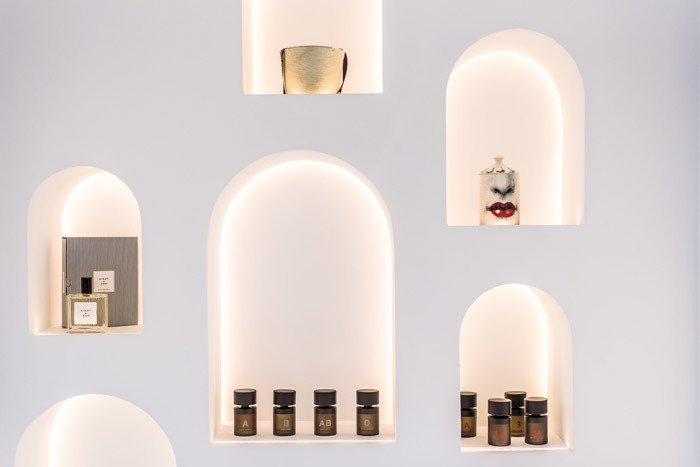 Valantines found a contemporary and clean-cut way to adapt local traditional elements such as arches and whitewashed walls to the space — a perfect platform to present the olfactive offerings of more than 20 niche fragrance brands. Among the brands on offer here are Agonist, A Lab on Fire, Nasomatto, Santa Eulalia, and Andrée Putman to name but a few. Celso Fadell, founder and creative mind of AVERY Perfume Gallery. Photo: AVERY Perfume Gallery. AVERY Perfume Gallery at Nammos Village, Mykonos. Photo: Avery Perfume Gallery. AVERY Perfume Gallery strives to mix the classical and contemporary. AVERY Perfume Gallery was founded as an international stationery and e-commerce retail chain dedicated to the art of perfumery. Under the guidance of Celso Fadelli, today the chain comprises 20 points of sale in 16 countries. The boutiques are widely recognized for their visual design mixing the classical and contemporary, and for clear and ordered displays to help guide consumer choice in a warm and welcoming interactive atmosphere. All you jetsetters yearning for the sun and the sea, travel light to Mykonos and leave your perfume flacons behind. Drop by this new fragrance temple to pick out your newest summer scent! The Mykonos boutique will be open 6 months a year during Mykonos’s official season, which runs from May through the end of October. Detail from the interior design by Rocco Valantines. Photo: AVERY Perfume Gallery.